Australian comedian, actor and musician best known for his musical comedy. Perrier Best Newcomer Edinburgh 2005. Old Songs. New Songs. F*** You Songs. Profit from a number of top price seats will be donated to a UK charity. Between 15th October 2019 and 30th November 2019 this tour will visit 17 venues in Ipswich, Oxford, Sheffield, Nottingham, Manchester, Cardiff, Liverpool, Portsmouth, Plymouth, West End, West End, Birmingham, Edinburgh, Gateshead, Glasgow, Brighton and Southend-on-Sea. Current and future dates only. This production has already been seen in 1 venues since 1st November 2018. You can embed this tour information on your own website by adding a single line of code to a page and using the Qtix code T01032827326 - for details see our Embed Information page. 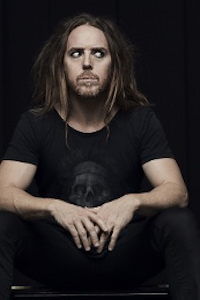 Receive email notifications of changes to Tim Minchin - Back.